Riviera Nayarit, Mexico (November 27, 2018) - Grand Velas Riviera Nayarit has opened a new Asian-inspired restaurant to complement its renowned dining program. The addition of Sen Lin Restaurant on November 21st brings the total dining options at one of Mexico's Foodie Resorts to five plus 24/7 in suite dining. Three, serving French, Italian and Mexican gourmet cuisine, hold a AAA Four Diamond award for distinguished cuisine and presentation. Under the culinary direction of Chef Wayu "Light" Wattanakamin, Corporate Chef of Sen Lin Restaurants at Grand Velas, the new menu balances modern and ancient cuisine that plays on new textures and original presentations with the traditional ingredients. In addition to both vegetarian and kids' menus, highlights include Som Tam (spicy green Thai papaya with fried crab), Ped Pakking (glazed Peking-style duck served in crepes with crudités and house plum sauce), and Poo Nim Tod Pung Kahri (soft shell crab with curry sauce and turmeric mashed potatoes). Banana tempura crusted in coconut and sesame and a Yuzu mousse with chocolate, black sesame sponge cake and lemon tea ice cream are among the featured desserts. With over 15 years of culinary-industry experience, Wattanakamin, a native Thai, has helmed kitchens in Kuwait, Dubai, Doha, many more throughout Europe and Malaysia, and most recently Mexico at the Grand Velas Riviera Maya where he was head chef at its Sen Lin. His experience and talent create a combination of inspiration that stem from recipes passed down from his mom, keeping traditional food and flavors of the Thai Kitchen in every dish. 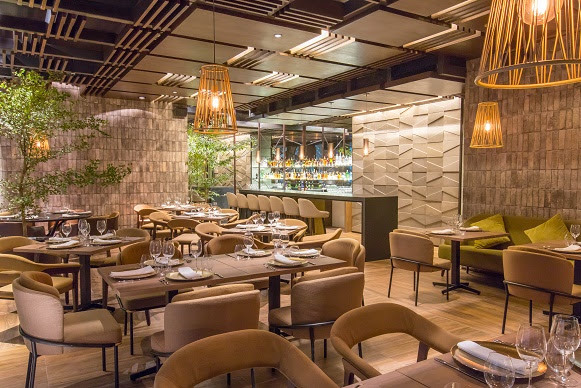 Designed by Ernesto Vela Architects, the new restaurant features natural and warm materials, cozy textures, sober colors and subdued lighting. The arrangement of the furniture transmits order and tranquility that encourages pleasant chatting for couples or a small group of friends. The brick walls and the latticework that surrounds the space, together with the indirect lighting contribute to create an intimate and comfortable atmosphere. The cost was $800,000 USD to build. Gourmet meals and premium branded beverages are included in the rates. Rates at Grand Velas Riviera Nayarit's start at $336 per person per night in double occupancy. Rate also includes luxury suite accommodations, 24-hour in-suite service, nightly entertainment, taxes, gratuity, and more. For reservations or additional information, please call 1-888-407-4869 or visit https://vallarta.grandvelas.com/. 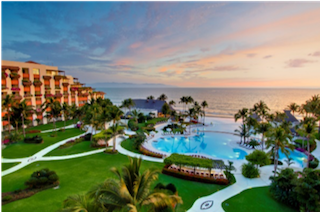 The AAA Five Diamond Grand Velas Riviera Nayarit enjoys a privileged natural setting with flowering, landscaped gardens beside a long stretch of pristine beach and a dramatic backdrop of the Sierra Madre mountains. The centerpiece of the gardens is a three-tiered, multi-temperature infinity pool, a preferred spot for catching the legendary sunsets. The resort features 267 ocean-view suites, some with private plunge pools, and all with fully stocked mini bar, L'Occitane amenities and Nespresso machines. Wellness Suites include a personal training session and massage in-suite in addition to other fitness amenities, such as a Lifecycle Exercise Bike, organic soaps, Aromatherapy Kit, and more. Of the resort's five restaurants, three, serving French, Italian and Mexican gourmet cuisine, have received AAA Four Diamond awards for distinguished cuisine and presentation. An oasis of wellbeing, Se Spa offers 20 treatment suites, more than 30 spa treatments, many inspired by the native traditions of Mexico and a signature water journey. Other features include a fitness center, 24/7 in suite service, water sports, business center, tennis, baby concierge, Kids' Club, and state-of-the-art Teens' Club. The all inclusive resort in the Riviera Nayarit features more than 25,000 square feet of indoor meeting facilities, including the Grand Marissa Ballroom, which consists of more than 6,000 square feet and is easily subdivided into five separate rooms. The resort's facilities also include four other rooms ranging from 681 to more than 1,954 square feet that offer several arrangement variations to maximize meeting productivity and efficiency. Things to do in Puerto Vallarta include water sports, exploring the lush jungle, visits to traditional villages and more. The resort has won numerous awards from Condé Nast Traveler, Travel + Leisure, TripAdvisor, U.S. News and World Report and Forbes, which named it one of the Top Ten Coolest All-Inclusive. Grand Velas Riviera Nayarit was built and is operated by Eduardo Vela Ruiz, founder and president of Velas Resorts, with brother Juan Vela, vice president of Velas Resorts, by his side. For reservations or more information, call 1-888-407-4869, email reservationsrn@velasresorts.com or visit https://vallarta.grandvelas.com/.